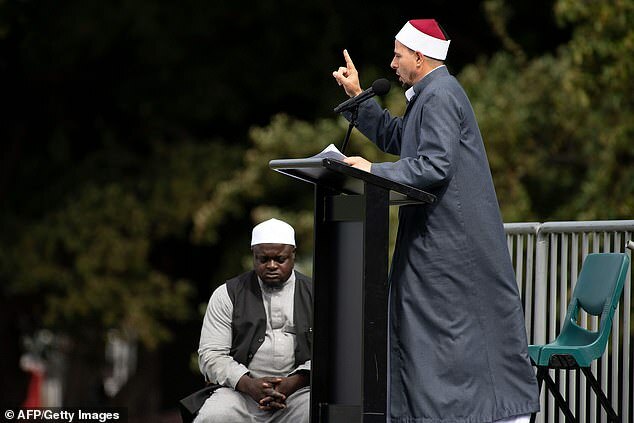 A Muslim leader has delivered a powerful message during a public memorial service for the victims of the Christchurch terror attack. 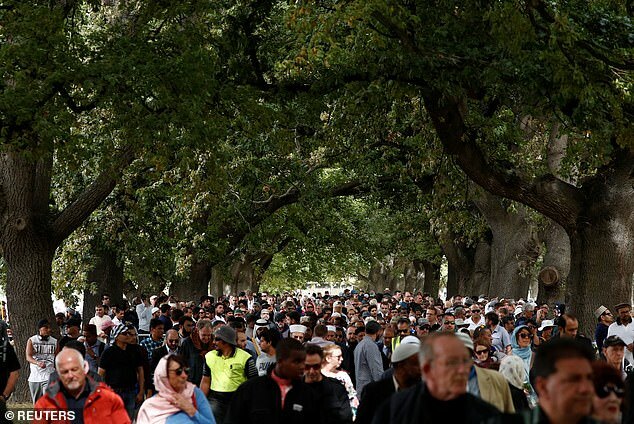 Muslims and non-Muslims came together in the city’s Hagley Park on Friday – a week after a gunman stormed two mosques, killing 50 people and injuring dozens more – to take part in prayer. 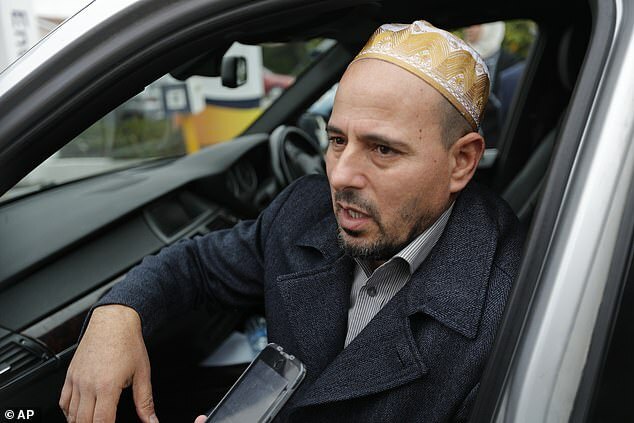 Imam Gamal Fouda, of Al Noor mosque, told the thousands who had gathered that from the tragedy there was hope. ‘Your loved ones did not die in vain. Their blood has watered the seeds of hope. ‘Last week I saw hatred and rage in the eyes of the terrorist who killed 50 and wounded 42 and broke the hearts of millions. 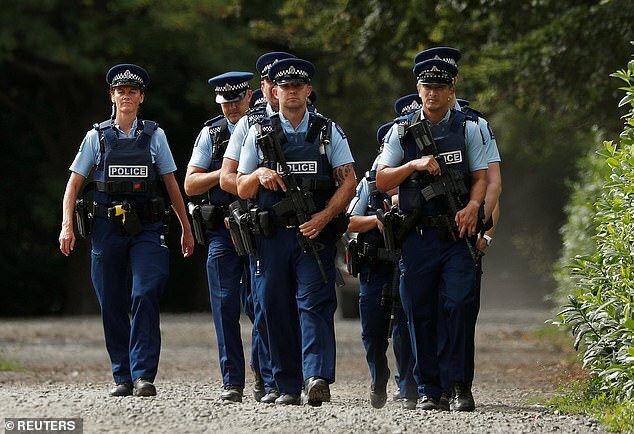 New Zealanders have responded to the horrific killings with a show of unity. 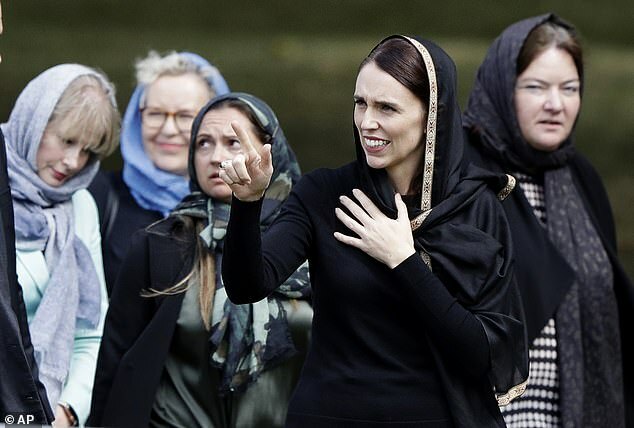 Prime Minister Jacinda Ardern, who was present at the service, also covered her head with a scarf. 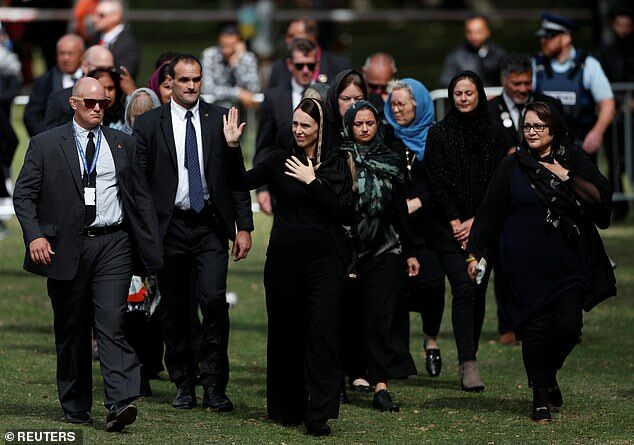 The imam thanked Ms Ardern for ‘honouring us with a simple scarf’. ‘Thank you New Zealand for teaching the world what it means to love and care,’ he said. He then called on governments around the world to end hate speech and the politics of hate. Imam’s speech came after a call to prayer at 1.30pm NZT (11.30am AEDT) and was followed by a moment of silence. 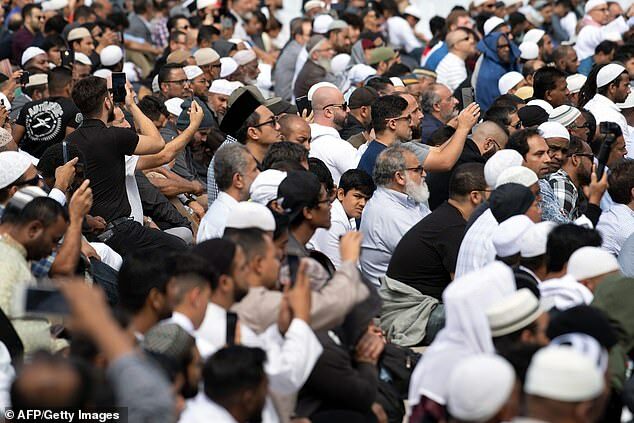 As the call was broadcast around the country, thousands of people stood silently in a park opposite the mosque where the killing began, as the country of 4.5 million came to a standstill. A mass burial of the victims is expected to take place on Friday after the Police Commissioner announced that all 50 victims of the attack had now been formally identified and their bodies could be released to family. Up to 25 bodies have been washed in preparation for the burial at the city’s Memorial Park Cemetery. 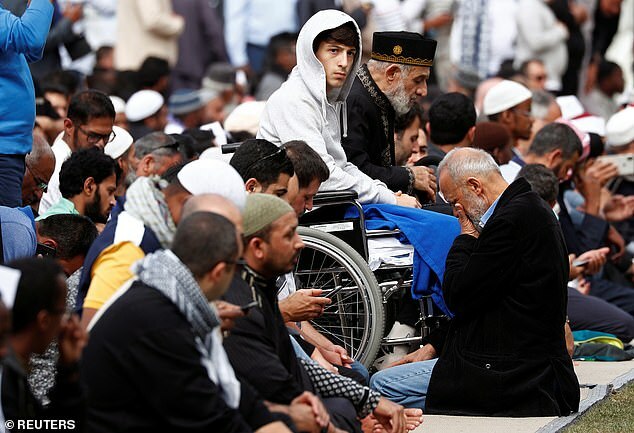 More than a dozen victims have so far been buried after funerals on Wednesday and Thursday, including 71-year-old grandfather Haji-Daoud Nabi, whose final words – ‘Hello, brother’ – greeted the gunman who first attacked the Masjid al Noor mosque.